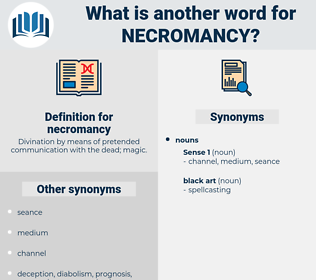 What is another word for necromancy? 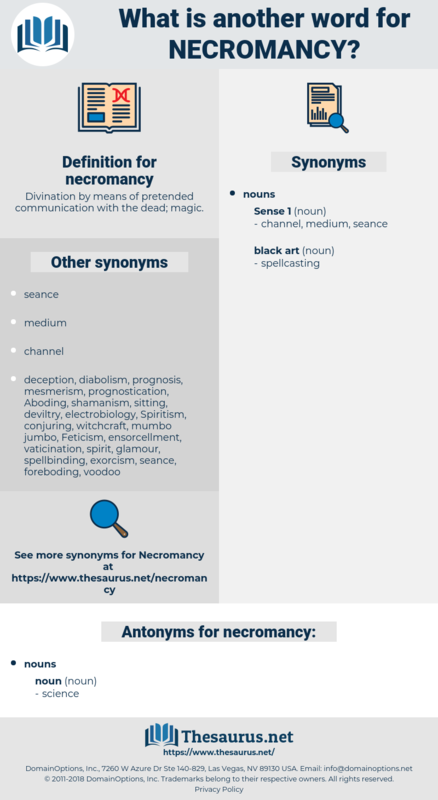 Divination by means of pretended communication with the dead; magic. Paracelsus with his necromancy has done nothing worse! The devils of necromancy and sorcery are stubborn - but ere this the stubbornness has been broken, and the saints have rejoiced! divination, soothsaying, foretelling, fortune telling.